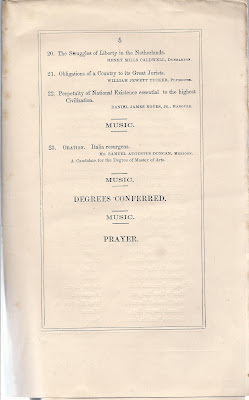 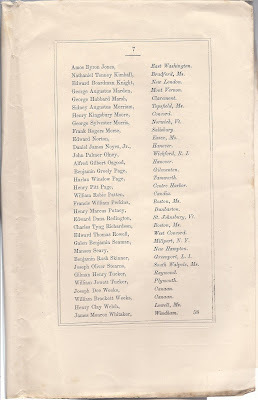 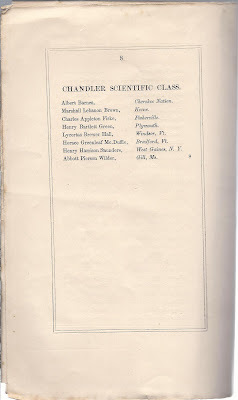 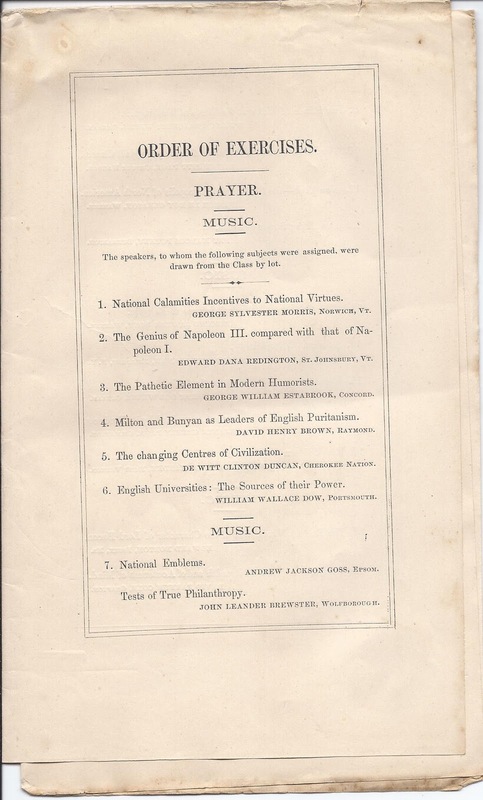 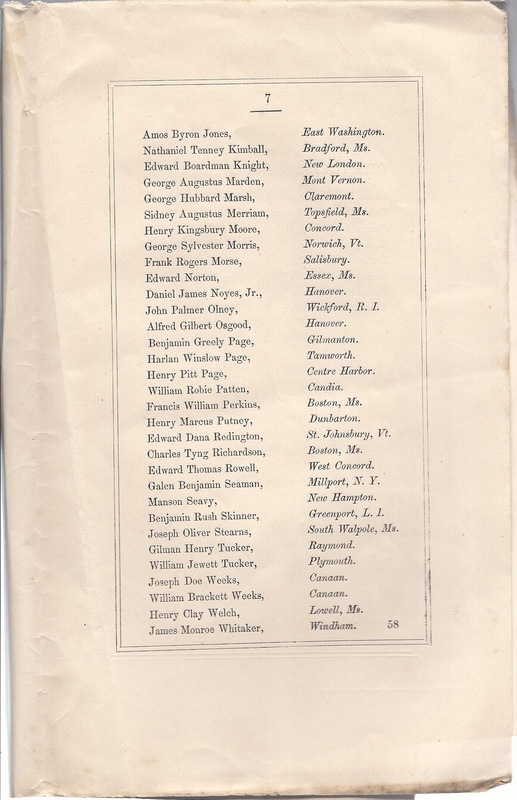 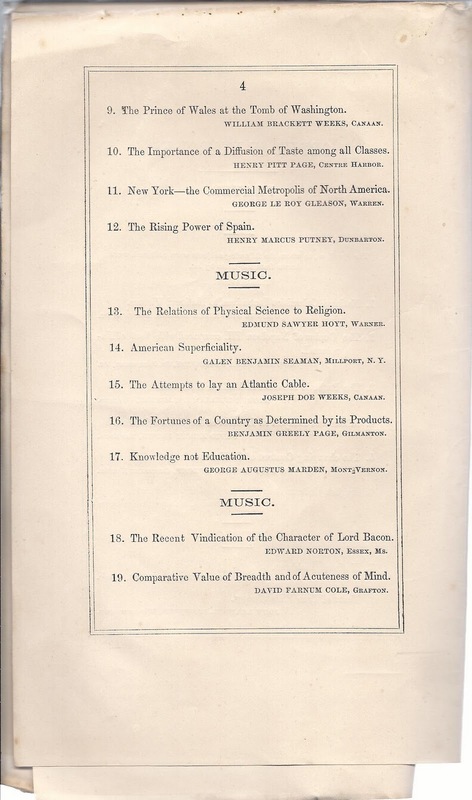 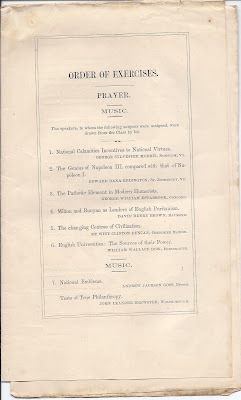 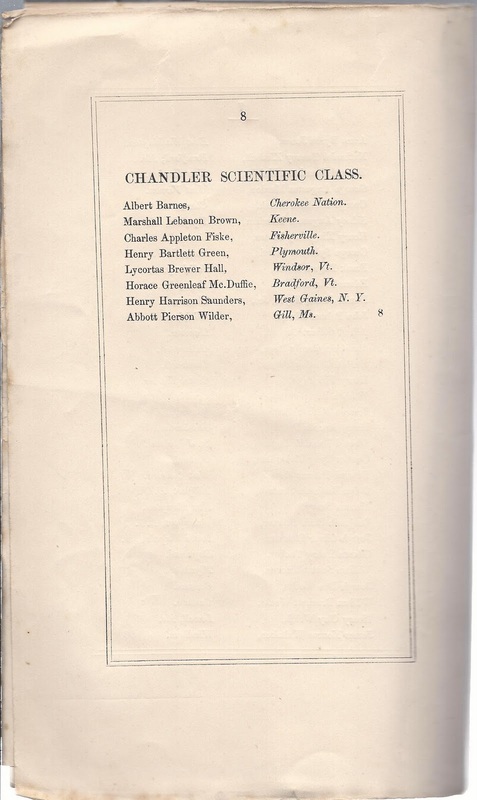 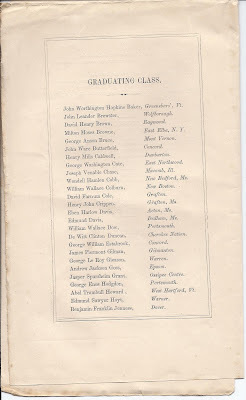 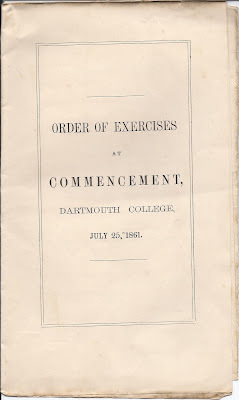 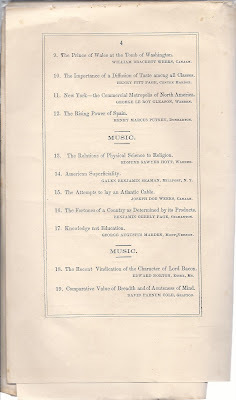 Order of Exercises at Commencement, Dartmouth College, July 25, 1861. 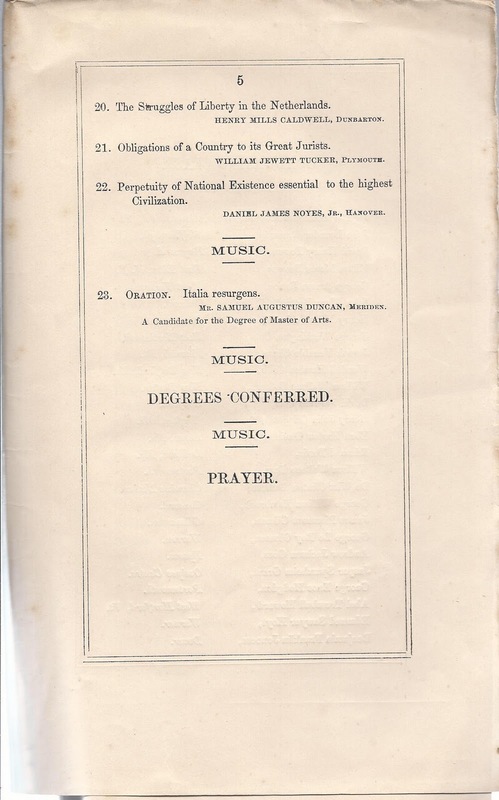 Sheet of paper approx. 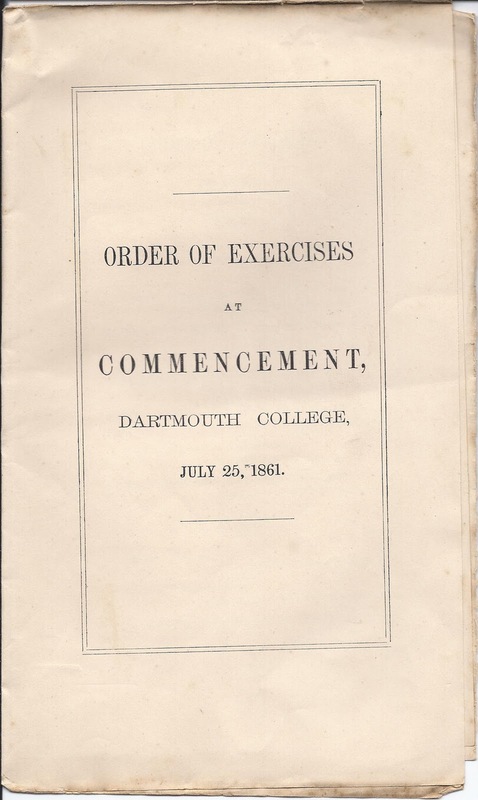 20" x 12", folded thrice, creating 8 panels. 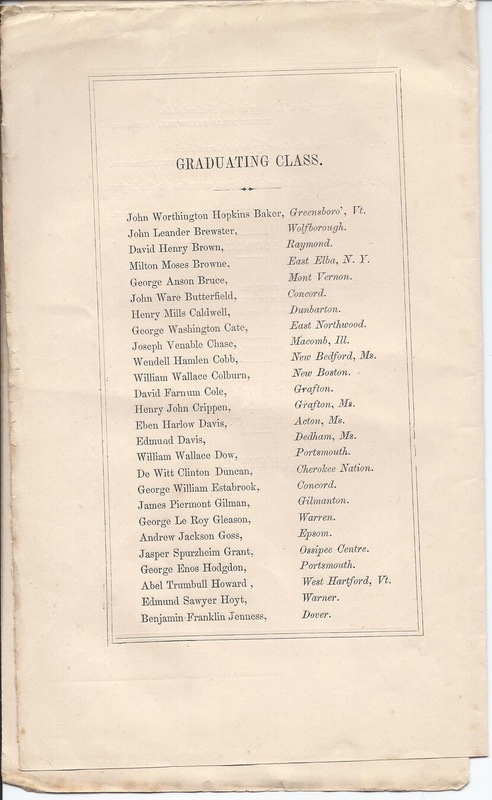 The speakers, to whom the following subjects were assigned, were drawn from the Class by lot.